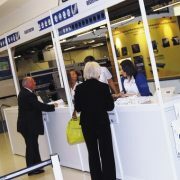 So you’ve done the hard work of selling the shell scheme stand space and publishing the exhibition. 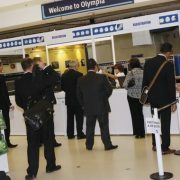 Now it is imperative that visitors find it easy to enter the show and find the registration booths. 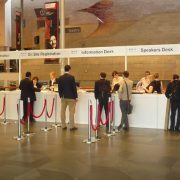 Whether pre-registered visitors or exhibitors; a plan an adequate means of registration with clear graphics needs to be put in place. 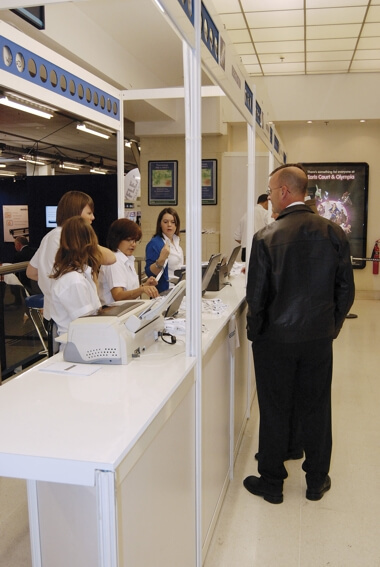 This also helps inform visitors and exhibitors what to do and where to go. 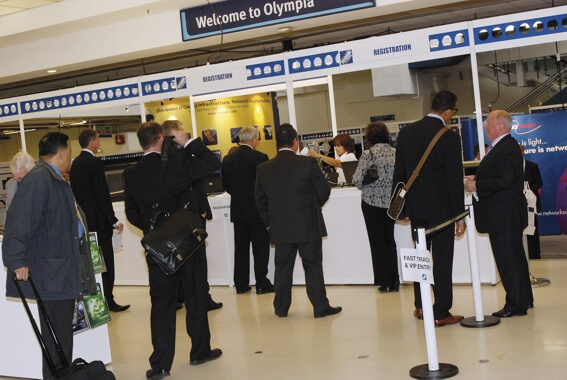 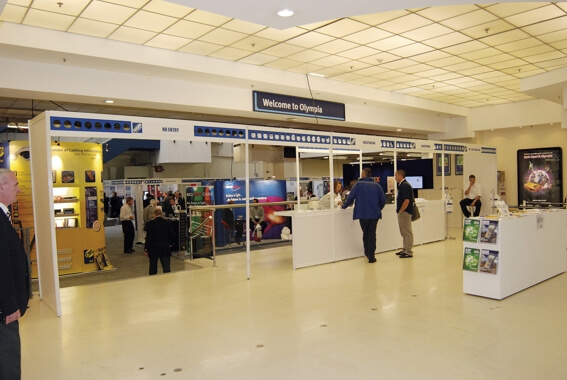 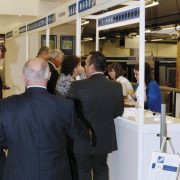 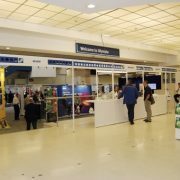 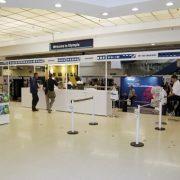 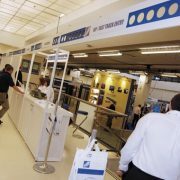 Registration booths are the first impression exhibitors and visitors will have of your event. 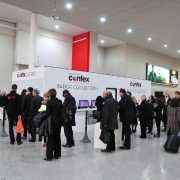 So the booths need to stand out and the graphics need to be eye catching. 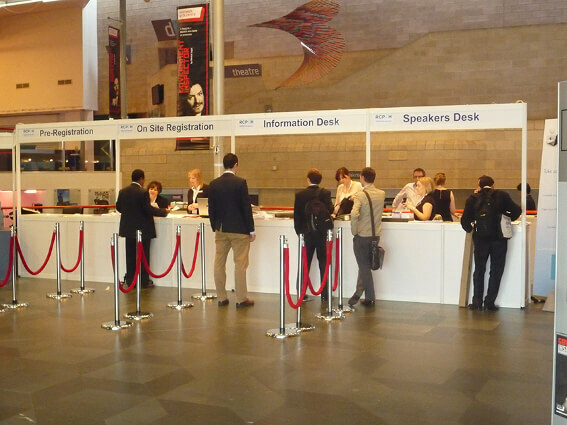 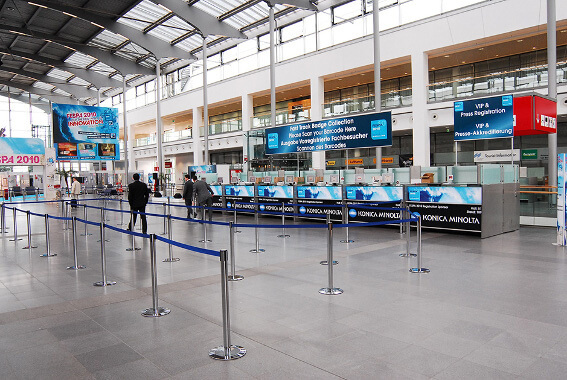 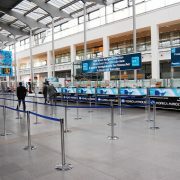 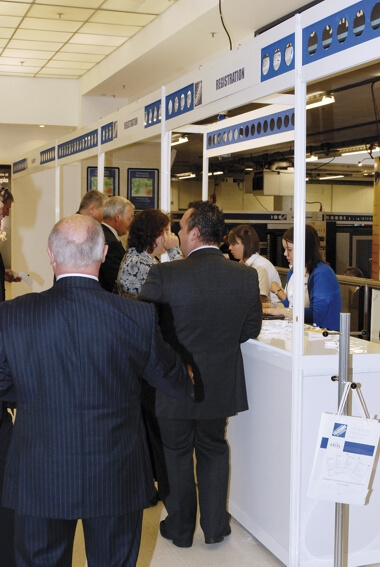 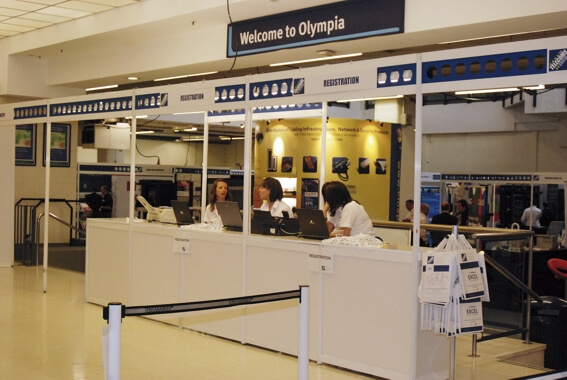 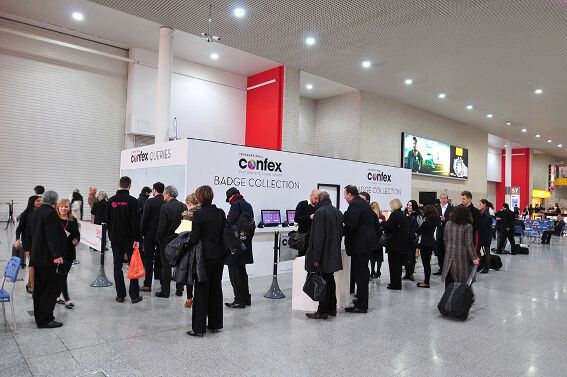 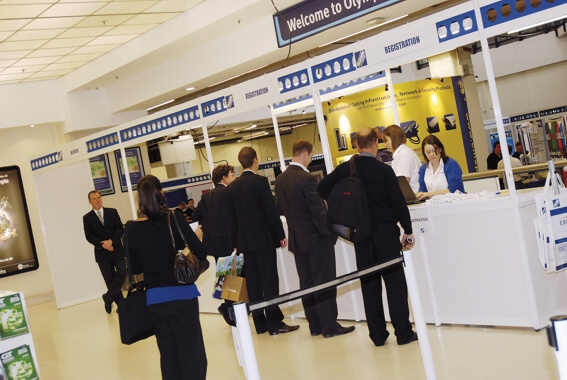 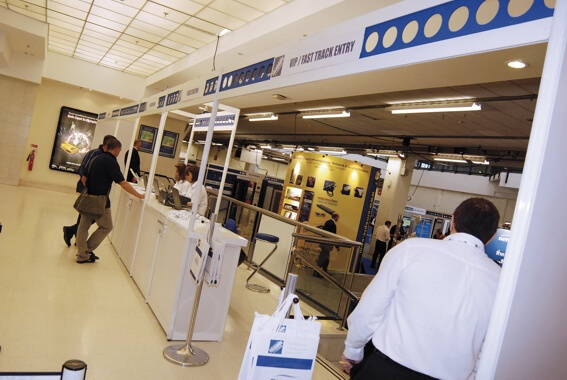 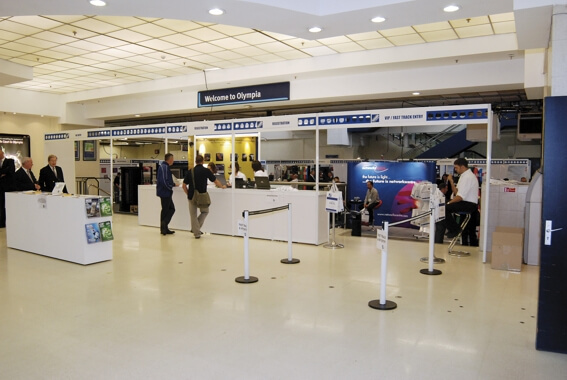 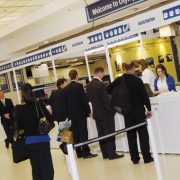 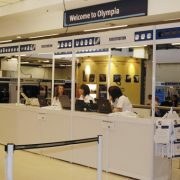 Access Displays have supplied hundreds of registration desks and badge collection booths to events all over the UK. 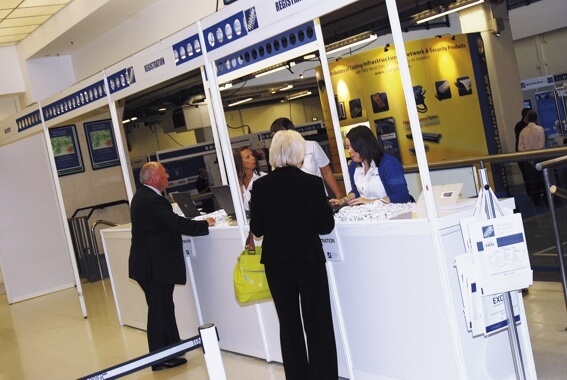 If you have a particular registration booth in mind then please discuss it with a shell scheme project manager on 01793 613088.